We are a Church of England Endowed primary school and we are proud of our strong Christian foundation and family ethos. Our Christian values of Trust, Respect and Responsibility, Kindness and Friendship, Honesty and Independence underpin everything that we do in school. Our local church St. Thomas’s Church, Selside is just up the road from the school and children can walk up to festival events at the church. 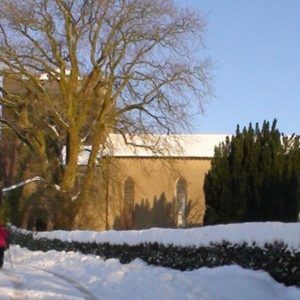 It is part of the Beacon Team of churches and is in Kendal Deanery in the Diocese of Carlisle. Our vicar, the Revd Canon Nigel Davies is a regular visitor to school to lead Collective Worship and also teaches some topics in RE. He is the Ex-officio governor of the school. We also welcome ‘Open the book’ into school each week to take Collective Worship. This is a team made up of members of different churches in the area who act out Bible Stories for the children. The school also has links with the local NISCU team who have supported the school to run special events such as ‘Discovering Easter’.